The HÅG Capisco 8106 can be easily adjusted to suit different users, the saddle seat can be set between low and high working positions - all the way up to standing - enabling you to be more dynamic in your movements while still balanced. 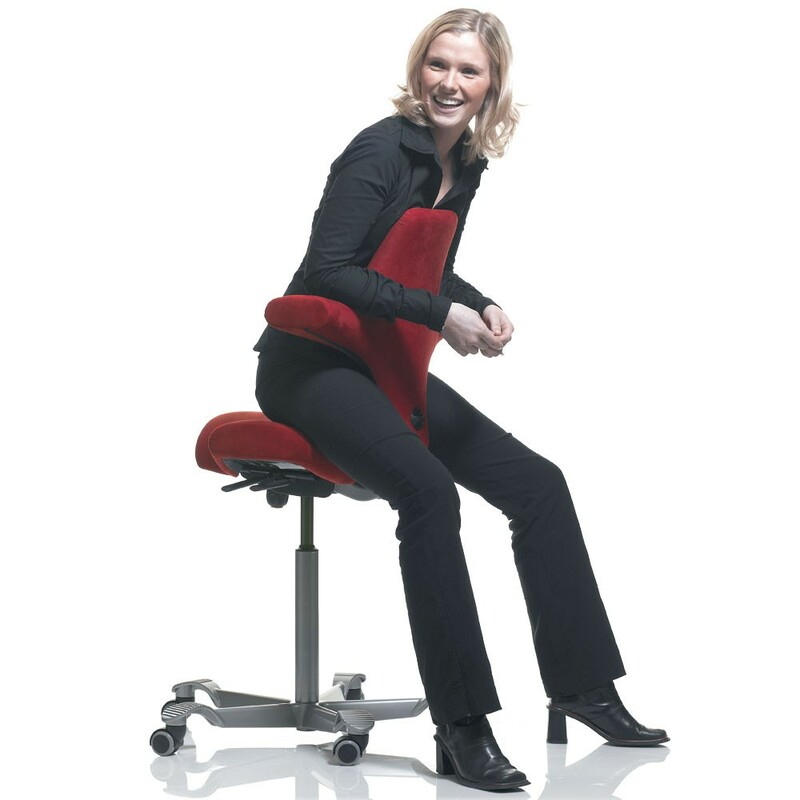 This makes it ideal for swapping between back and front facing positions, and keeping the user moving! 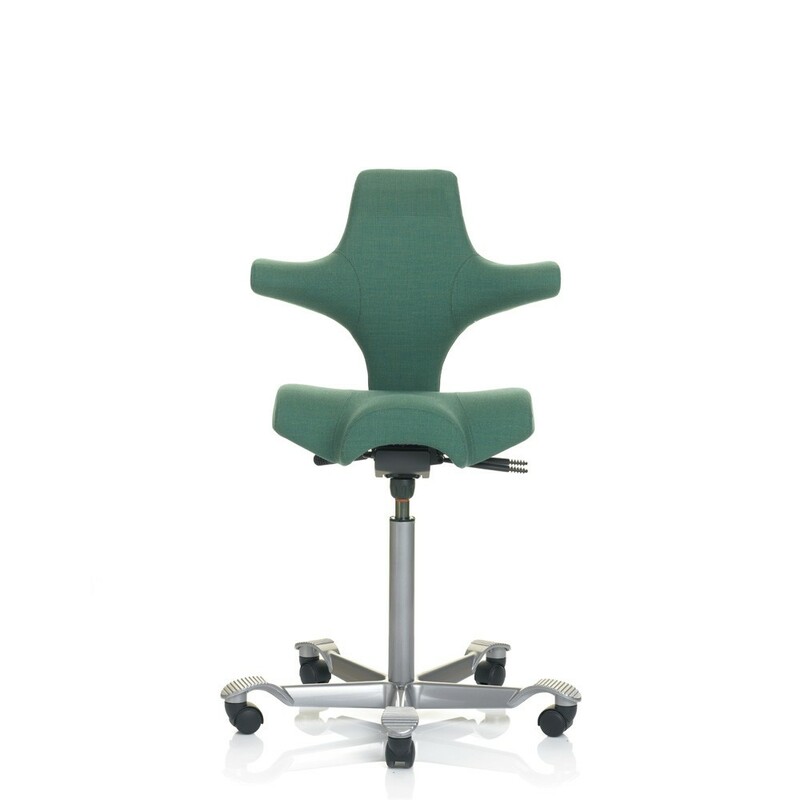 We often recommend the HÅG Capisco instead of kneeling chairs as it offers the same level of comfort and movement while providing greater support. On the HÅG Capisco there is a handle on the right hand side of the chair. Pull the handle backwards to lock the tilt motion. To unlock, simply push the handle forwards. About four fingers width between the front edge of the seat and the hollow of the knee provides good blood circulation. You can order a neckrest to fit to the HÅG Capisco. There will be a screw on handle. Slide the neckrest bar onto the back bar. Screw in the handle to secure the neckrest bar in place. To adjust the neckrest height, simply pull the neck pad up or down. Unfortunately, you cannot adjust the back angle on the HÅG Capisco. On the HÅG Capisco there is a tilt lock on the left hand side, underneath the seat. Pull the tab outwards to lock the chair. To unlock the chair, push the tab inwards.